If you are planning to go for a vacation this summer, Iceland is the place to be. Most people think Iceland is a very cold place for a summer vacation, but it’s not, as it gives you the magical experience. Every person loves experiencing new things, and Iceland has unique features that you and your family can enjoy. Here are some of the reasons why Iceland should be on top of your bucket list. Iceland is located at the top part of the world thus giving you the best view of the northern lights. Northern lights appear mostly when the upper segment of the atmosphere is struck by supercharged electrons that are caused by the solar wind. The northern lights give you a magical feeling, especially when viewing them at night. The northern lights are mostly seen between September and April. There is more than one hot pool in Iceland because of the geothermal power. Most people love the Blue Lagoon pool as it is one of the hot pools that are internationally famous. Also, the pool water is rich in minerals, like silica and sulfur, that are very beneficial to your skin. The water in the pool is warm all year as it is geothermally heated, thus making you feel refreshed. One of the best ways to visit the Blue Lagoon is by renting a vehicle using Lotus Iceland car rental 4×4. The vehicle that you rent will take you around to see all of the great locations in Iceland. The waterfalls in Iceland are so amazing and are the major tourist attraction. 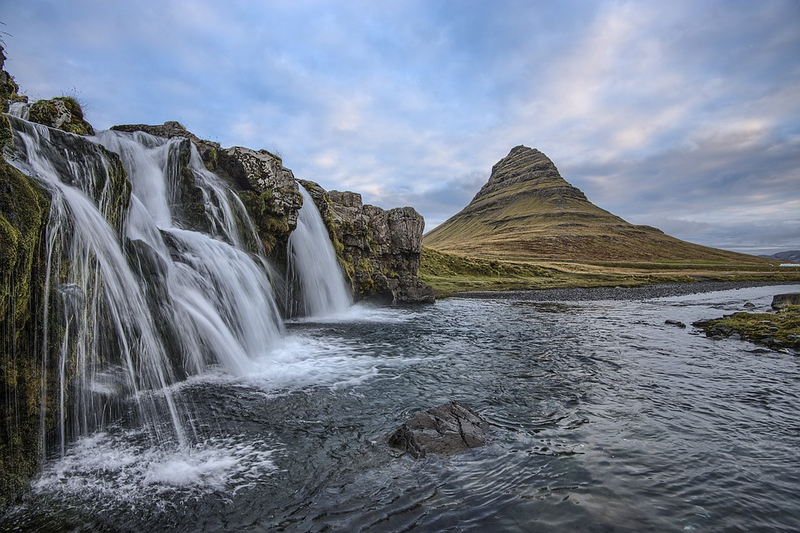 It’s easy for you to locate the waterfalls because of the peaks, landscapes, as well as slopes in Iceland. The waterfalls catch the essence of the beauty in Iceland as the water drops over the vegetation, thus providing a great background. Iceland is a fascinating destination and has active volcanoes. Iceland itself was formed as a result of volcanic eruptions long ago. Iceland is an amazing place for road trips and cycling because of the well-maintained roads and bike trails. When you are in Iceland, you get the chance to drive or cycle as you enjoy the beautiful Iceland scenery. Glaciers cover the largest part of Iceland and are the most breathtaking attractions. On south-east Iceland, there are gigantic icebergs that have broken from the tip of one of the glaciers, creating a fairyland of wildlife and ice. This attracts so many people from different parts of the world, especially during the summer season. The midnight sun is another unique experience that everyone should experience in Iceland. The sun appears a few minutes past midnight and rises before 3 am. The midnight sun attracts so many tourists and gives them the best experience. The Iceland horse is a unique animal that plays a major role when it comes to the historical and cultural development of the nation. The horse has survived the harsh conditions of Iceland, as it was naturally shaping itself so many years back after colonization. However, there are other horses, and people are obsessed because they offer a thrilling ride. Iceland has one of the most beautiful black pebble beaches that has won the heart of many tourists. However, Iceland lacks a steady supply of sunlight and is mostly windy, but still attracts more people internationally. The black pebble beach is one place that you cannot fail to visit once you are in Iceland. Iceland gives its visitors the best foods that reflect on the traditions of their forefathers. Iceland has farms that use modern technology, thus providing the best natural ingredients and fresh fish that are used to prepare favorite meals for their guests. The Iceland restaurant’s chefs are well trained and offer the best service to guests when serving them. These amazing features, and many more, are the major reasons you should not miss the opportunity of enjoying your vacation with your family and friends in Iceland.